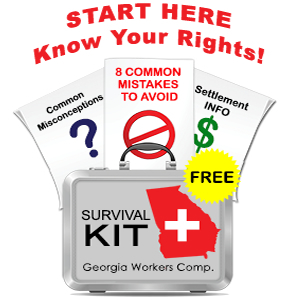 Under Georgia’s workers’ compensation laws, an injured worker is automatically entitled to benefits if he was injured while “on-the-clock.” Not surprisingly, there are many exceptions and qualifications to this general rule of thumb. One significant defense available to employers and their insurers arises in cases where a post-accident blood alcohol test comes back positive. Georgia law also addresses what happens if you refuse to submit to a blood alcohol test. Georgia Code Section 34-9-17(b)(3) provides that if you refuse to submit to a “reliable, scientific test” of your blood, urine, breath or other bodily substance there shall be a “rebuttable presumption” that your injury was caused by your use of alcohol. What does this mean to you? If you have been drinking and you are shortly thereafter injured at work, your employer can demand that you submit to a blood alcohol test. If you are taken to the hospital it is also possible that blood will be drawn as matter of course and a blood alcohol level will appear in your medical records. If that test comes back showing a .08 blood alcohol level or higher, your employer can lawfully refuse to pay your workers’ compensation claim. .08 B.A.C., by the way, is the level of blood alcohol that would constitute a DUI for adults in the State of Georgia. Alcohol Level was Higher than .08? Yes, you have options but you will be fighting an uphill battle. First, note that the statute creates a “rebuttable presumption.” This means that you do have the right to present evidence that your injury was not caused by your use of alcohol. For example, if you are walking with a group of 5 others from one end of a warehouse to the other and a shelf of heavy boxes falls on the entire group, you could argue that your intoxication did not contribute in any way towards your injury. Second, you could use the same defenses that DUI defendants use in battling. In Georgia, and elsewhere in the country, for example, DUI defendants regularly challenge the accuracy of the Intoxilyzer 5000 blood alcohol testing equipment. Machines like this are susceptible to challenges based on how they are maintained, or even about the source code, which does not differentiate between men and women or the height and weight of the person being tested. Earlier, I noted that claims subject to challenges arising from alcohol use are “uphill battles.” I say this because in my experience, insurance company adjustors and lawyers usually deny claims when there is a positive blood alcohol test and they fight these claims vigorously thereafter. When these cases settle, they usually settle on a “no liability” basis that also includes a resignation. A “no liability” stipulation means that the employer never “accepts” the claim, never pays wage benefits, never pays for medical care, but agrees to pay a lump sum to settle all claims.